White Marlin – big game fishing in the ocean waters! 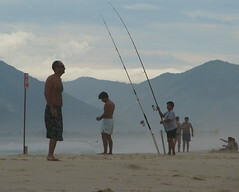 The seashore of Rio de Janeiro is popular among fishers by its large number and diversity of fish like sailfish, white marlin and sword fish. 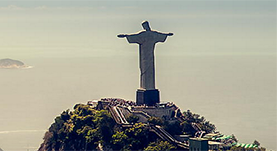 There are a reasonable offer for fishing tours along the shore of Rio de Janeiro and Rio Greeb Coast but there is no charter fleet in Rio. Ilha Grande is a small cozy island only a few hours from Rio de Janeiro. The island has no cars and a population that lives of fishing. Hiking, excursions on horseback or with a small fishing boat are some of the activities offered on the island. 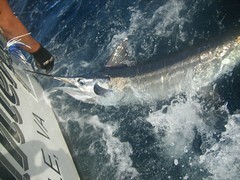 Go fishing in fresh water in Brazil is quite an experience and there are an incredible number of species in the country. If you are lucky you can get hold of a peacock bass that you find in rivers and it is a real fighter.